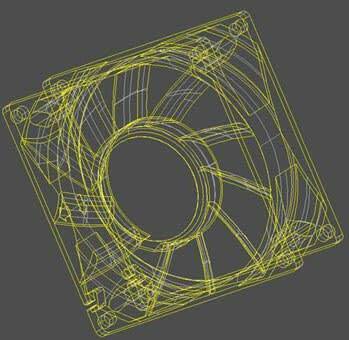 YS Tech Engineers upgrade the NYW 60x25mm Fan Models. I wanted to title this Blog, ‘YS Tech Engineers go over the edge!’. But, considered that wouldn’t help build YS Tech’s reputation for solid Engineering capabilities! You’re probably thinking, ‘what’s all the excitement about’? If you haven’t heard, then you and your customers have been missing out! Here’s what we’re so excited about; the YS Tech Engineers have done it again in that they have taken a proven, established fan model line and greatly expanded its capabilities! Of course, we’re talking about the new 60mm fan models. You cooling fan sales experts will probably recall at least one occasion where your customer wanted a 60x25mm fan, but our [then] CFM and Pressure figures were just not enough to win the business. That won’t be the problem anymore! that’s worth some discussion. The old figures of CFM and Pressure were: a bit over 30 CFM and 12 mm-H2O on the 48V models. Now, those figures are OVER 50 CFM and 27 mm-H2O for the same model. That is a significant increase and well worth the focus given it by our Engineers. You Techie-types are probably already trying to out figure out how they did this … well, I’m glad the subject came up. I’d love to tell you some of the details. First, they threw out the old PCB design and components, and started over. After a new Bill of Material and PCB, Engineering knew greater speed would bring the need for a new blade design. So that was next. Of course the motor design had to be changed too. Details like wire/winding size and count and throw-in some of that proprietary design stuff and that’s what gives you 35% EXPANDED capabilities! A word of caution; as you fan experts have learned over the years, with speed comes power usage. These new fan models do require more current to “make it happen”, so be familiar with this increase also. So where might you find interest in these new models? First, determine which of your customers use 60mm fans – that should be easy. Next, ask them if they could use more CFM and Pressure in their application – but, be sure to mention the increased current needs. Power usage is a hot topic to most designers and I’m sure they will appreciate the heads-up! These expanded models are so new they are not yet on our website nor in the catalog – but they will be very soon. In the meantime, please contact me for specific model specifications. If you have a hot prospect, don’t hesitate to give me a call on-the-spot … I can recite figures off the top of my head which will give your customer some basics. I’m here to help you gain business … but you have to call me! Can’t wait to hear from you.